This updates the telemetry consent copy. 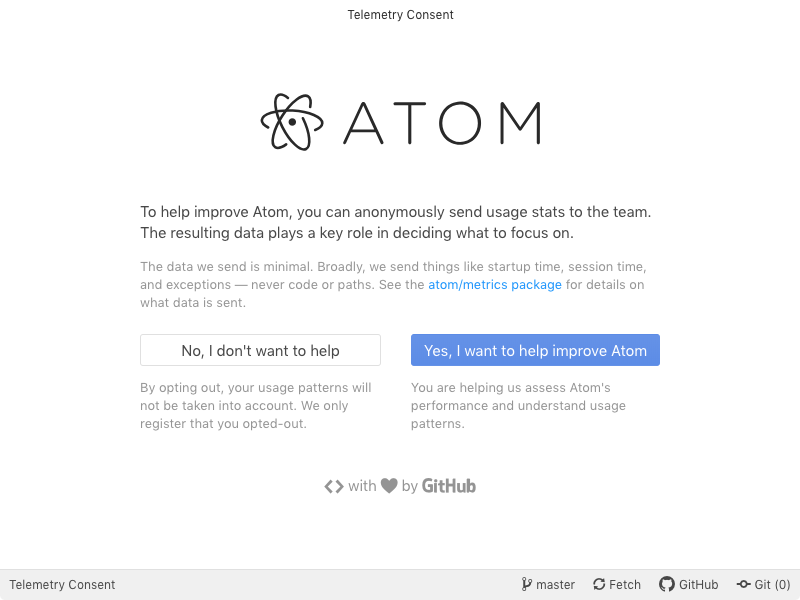 It removes the "dark patterns" of the current design. By making both buttons blue, both options get equal importance. The copy doesn't make users feel guilty for "not helping". The copy is reduced which might encourage people to read it. This might affect how many people opt-in vs opt-out. We give the community another chance to discuss this topic. None, but it's something that we got called out for in the past. What about going further pointing out that usage data is sent anonymously in the first sentence? 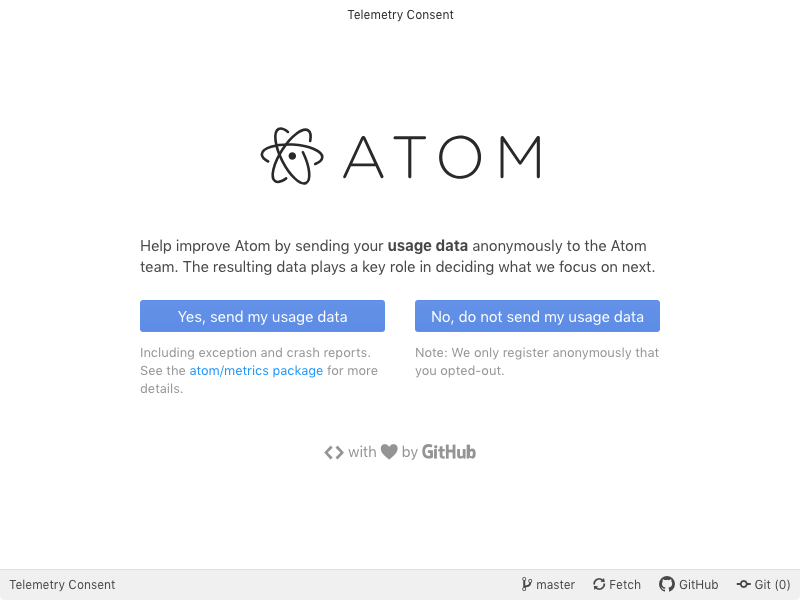 "Help improve Atom by sending your usage data anonymously to the Atom team." Maybe it would encourage more developer to help? I added anonymously but didn't make it bold since it's not really part of the noun.